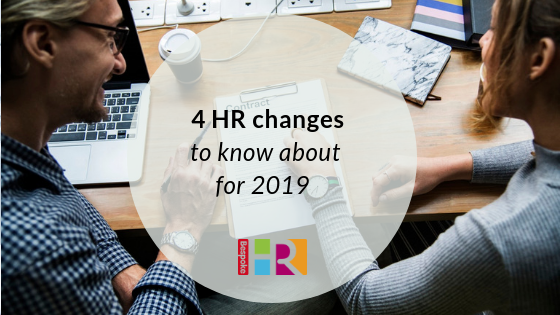 2019 will see some changes to employment law that any small business owner employing staff needs to be aware of. As announced in the Autumn budget, the National Living Wage will increase by 4.9% from April 2019. This sees it rising from £7.83 per hour to £8.21 for employees who are 25 and over. 21 – 24-year olds: from £7.38 per hour to £7.70 per hour. 18 – 20-year olds: from £5.90 to £6.15 per hour. 16 – 17-year olds: from £4.20 per hour to £4.35 per hour. Apprentices: there is a 5.4% national minimum wage increase from £3.70 per hour to £3.90 per hour if the apprentice is under 19, or if they are 19 or over, they must be within the first year of their apprenticeship. These changes will need to be in place for the April 2019 payroll. From April 2019 auto-enrolment contribution rates will rise from a minimum of 5% to 8% of earnings (which means 5% from the employee and 3% from employers). With nearly 10 million people using the scheme, now is the time to communicate this to staff. Workers from Europe living in the UK may be able to remain indefinitely in the UK after December 2020 if they apply for settled status in 2019. To do this the must prove that they have been living in the UK for five years at the date of application. Applications open on 30th March 2019. If in doubt about an employee’s right to work or right to remain, we’d recommend taking specialist advice and we can put you in touch a provider who specialise in immigration services. Show the combined number of hours worked for which the employee is being paid or itemise the figures for different types of work and /or rate of pay. This new legislation is aimed to help those employees who work varied hours and therefore whose pay changes accordingly. Employers will need to make sure that their payroll process can collect and display the information required and amend the format of their payslips ahead of April 2019. Get in touch if you would like any advice about HR issues in 2019.